The Right Kind of Pride is a blog about meeting life’s challenges. Those challenges can be in business, maintaining life balance and wrestling with faith and theology. In all these areas, knowing how to manage your pride and finding the right approach to overcoming obstacles is important. The Right Kind of Pride will feature insights provided by a writer who has faced some of life’s most pressing challenges, but also experienced some of life’s greatest opportunities, even miracles. 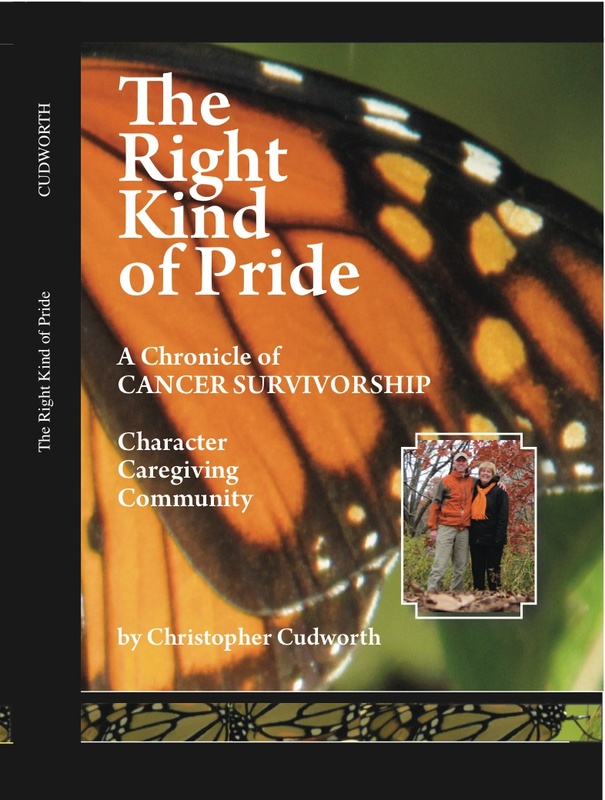 The Right Kind of Pride stems from a book by the author of this blog, Christopher Cudworth. The book is available on Amazon.com and was written during and about an eight year journey through cancer survivorship with his late wife Linda. Yet as the blog was distributed to a caregiving community of more than 75 people who helped the couple through health, financial and personal challenges, the writing became a dialogue and grew in dimension to address the blessings of life even in the face of adversity. One of the primary principles of The Right Kind of Pride is found in the idea that feelings of victimhood, fear or doubt do not abide with faith or gratitude. So The Right Kind of Pride stems from these latter graces rather than from false pride or hubris. Learning to be humble without feeling weak, to be appreciative without feeling like everything is a sacrifice, and to accept vulnerability to be honest about your situation are some of the primary traits of The Right Kind of Pride. This blog will receive feeds from the three blogs the author already produces, along with articles . Each has its individual focus and philosophy. WeRunandRide.com is original thoughts about fitness and how it improves lives. Genesisfix.wordpress.com is writing about principles in philosophy, theology, politics and reconciliation of scriptural truth to modern science and knowledge. Naturesymbol.com provides inspiration and perspectives on the environment, nature and the importance these influences have in our lives.